Established in 1989, Frigoken Ltd is Kenya's largest exporter of processed vegetables supplying niche products to leading European Supermarket chains. The Company currently provides direct employment to over 3,000 people, most of whom are women, and supports over 70,000 small-scale farmers in rural East Africa. In 2002, AKFED formed the Pamir Energy company in partnership with the International Finance Corporation, and under a public-private partnership agreement signed with the Government of Tajikistan. 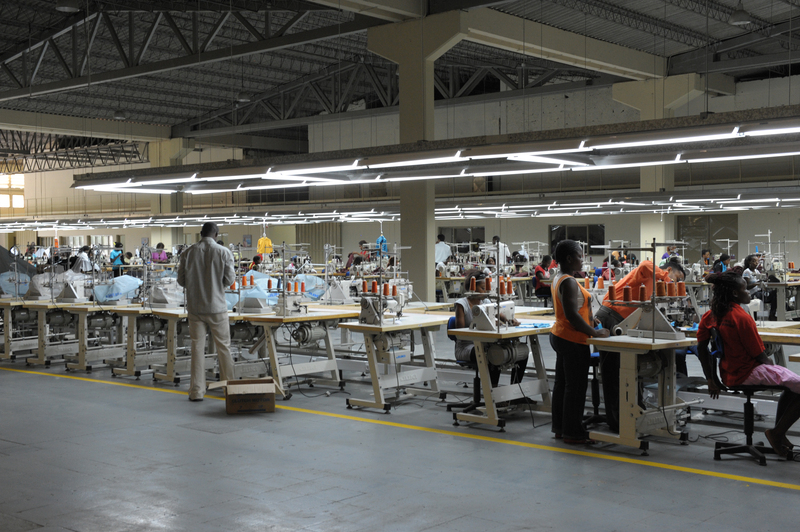 Acquired by IPS, the clothing factory Moztex in Mozambique's capital had several goals; to provide employment, particularly to women, to train and develop local skills and to contribute to the country’s economic development. The Azito power facility, Côte d'Ivoire. 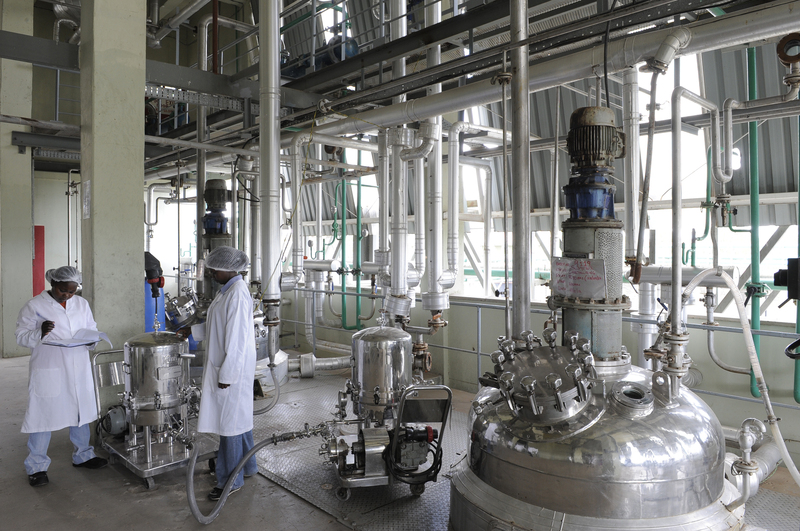 Botanical Extracts EPZ Limited, based in Athi River, Kenya, is a private limited company involved initially in the extraction of artemisinin to fight multidrug resistant malaria. AKFED works with governments, international corporations, international financial institutions and donors to create solutions to pressing infrastructure needs, including power generation and telecommunications. AKFED has invested in, and manages, over 40 industrial project companies in Africa and Asia. In the early 1960s, a group of companies was set up under the corporate name Industrial Promotion Services (IPS). Each company was created to provide venture capital, technical assistance and management support to encourage and expand private enterprise in countries of Sub-Saharan Africa and South Asia. Growth, privatisation and a re-orientation away from import substitution and towards export promotion resulted in adjustments to IPS’ approach. Expansion into areas such as agribusiness, packaging and infrastructure in Sub-Saharan Africa were accompanied by the need for new investments in the emerging economies of Central Asia in the 1990s and 2000s, in particular, in Tajikistan and Afghanistan. Today, IPS companies play a vital role in local and regional economies. 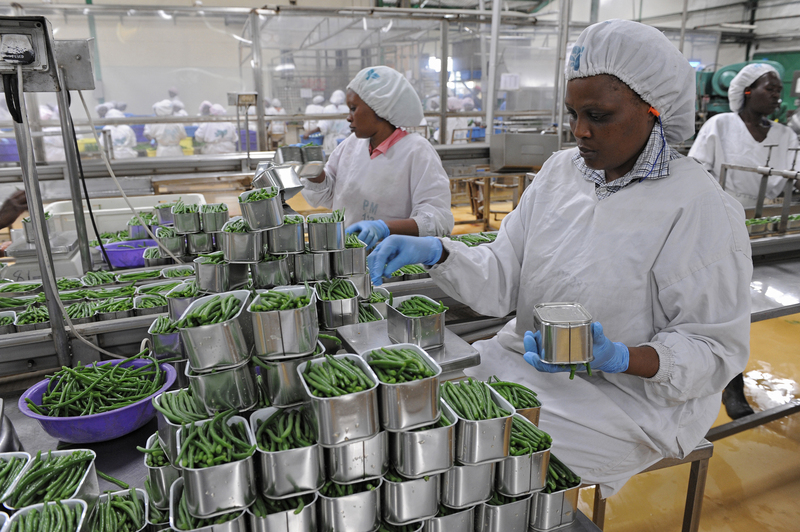 The AKDN project company Frigoken, Kenya’s largest exporter of processed green beans, endeavours to forge a better future for the country’s small-scale farmers. The company employs over 3,000 people, most of whom are women, and supports around 70,000 small-scale farmers. The company also implements a comprehensive workplace wellness programme and provides young families with a day-care facility. One of IPS’ core operational sectors, agro-processing, includes companies that supply goods for both local and export markets and also play a significant role in supporting the rural economy. 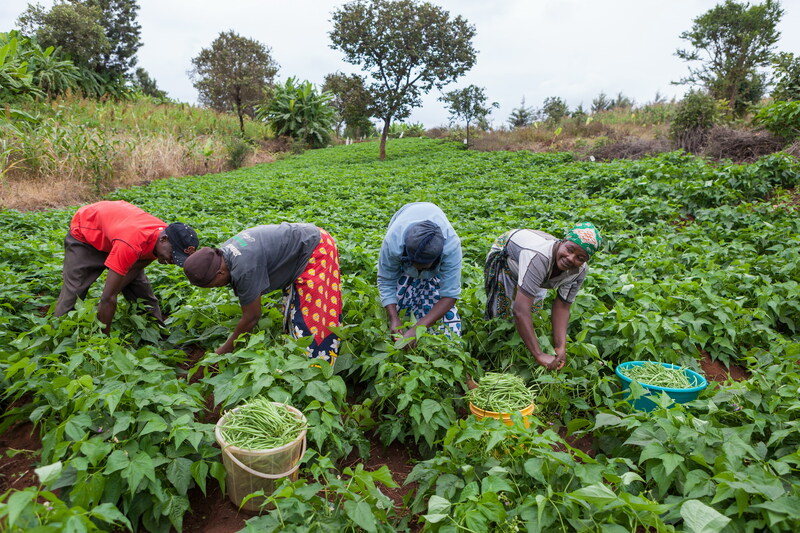 In Kenya, for example, Frigoken Limited provides agricultural extension services to around 70,000 small scale farmers to produce various agricultural produce including green beans. The beans are processed and exported to European markets. In West Africa, AKFED supplies agricultural extension services to more than 100,000 cotton farmers, operates cotton ginneries and exports finished products. Its social programmes offer microfinance, education, health and sanitation to the farmers. In addition to promoting the employment of women, these companies have become national role models in matters of employee welfare, including the provision of child care and health care. AKFED works with governments, international corporations, international financial institutions and donors to create solutions to pressing infrastructure needs, including power generation, telecommunications and water supply services. 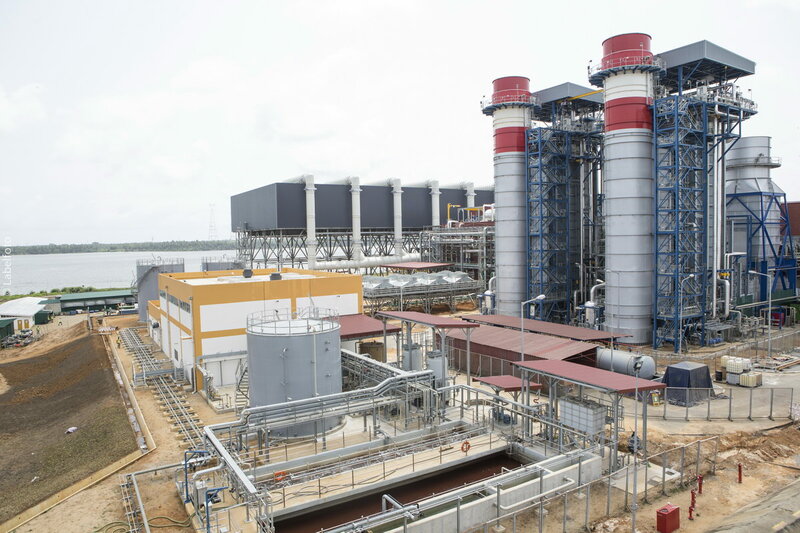 AKFED’s first investment, led by IPS, in the power sector, the US$ 225 million Azito Energie project in the Ivory Coast, was the largest private sector power plant in Sub-Saharan Africa in 1999. It currently provides 30 percent of the electricity generation needs for the country. It was followed by the 75MW Kipevu II Power Plant which is located in Mombasa, and generates power for sale to the Kenyan grid. It was Kenya’s first privately financed “open-bid” project and the first of its kind to be successfully constructed under an updated and more stringent environmental law. AKFED also worked with partners to rehabilitate and expand a Soviet-era hydroelectric power plant that is boosting the eastern province of Tajikistan’s inadequate electricity supply, reducing deforestation and contributing to the region’s economic recovery [For more information, see Pamir Energy]. The flagship of IPS’s infrastructure investments in East Africa is the US$ 900 million Bujagali hydropower plant located on the River Nile – a run-of-river plant that reuses water used for generation in upstream power projects. The 250MW Bujagali, arguably Sub-Saharan Africa’s largest privately financed hydropower plant, was completed in mid-2012 thereby increasing Uganda’s effective generation capacity by about 50% and eliminating long-standing black-outs that had constrained the economy for many years. AKFED’s initial involvement in building telecommunications infrastructure was in Indigo since rebranded as "TCell", a GSM mobile phone operation in Tajikistan. 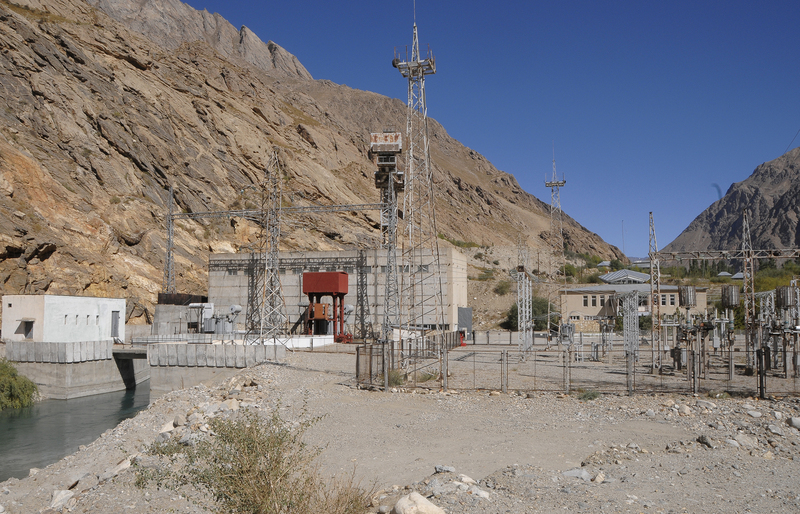 In Afghanistan, AKFED determined that building communication infrastructure was critically important to the redevelopment of the country and was awarded the country’s second GSM mobile phone license. The company that was formed, Roshan, has invested over US$ 500 million in expanding its coverage. Roshan directly employs over 1,300 people; indirectly, over 30,000 people are employed through distributors, contractors and suppliers. AKFED, through IPS, also invested in SEACOM - the first submarine cable operator to lay fibre optic cable networks connecting Africa to India, Middle East and Europe. The company has since dramatically contributed towards changing the ICT landscape in Africa, significantly increasing the availability of international bandwidth at much lower costs. SEACOM is privately funded and over three quarter African owned. 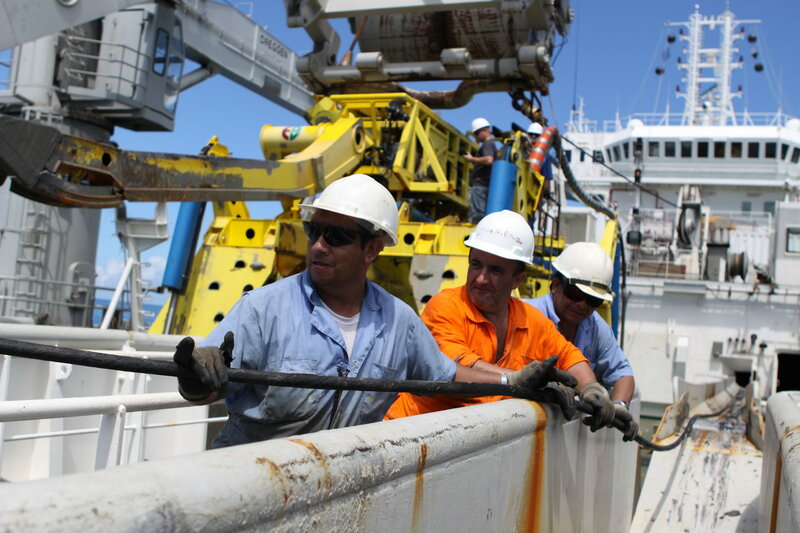 Oceanic underwater cable laying operations aboard the ship Tyco Resolute - SEACOM project.